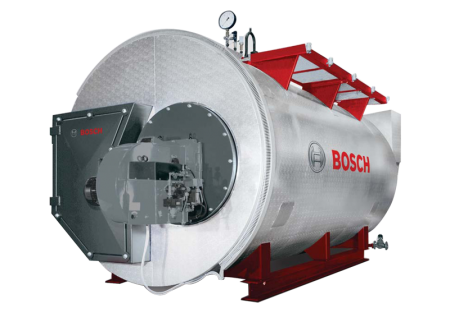 The UNIMAT UT-H hot water boiler is used in the case of high pressure and high temperatures requirements and for district heating or process heating applications. 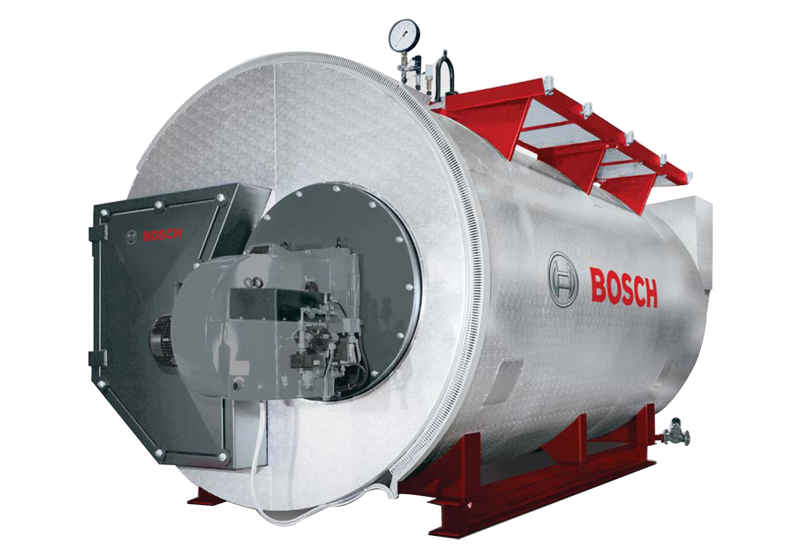 The UNIMAT UT-H hot water boiler is a shell boiler with one flame tube, built in 3-pass technology. Flue gases flow through the flame tube and smoke tubes on the inside and boiler water flows around them on the outside. 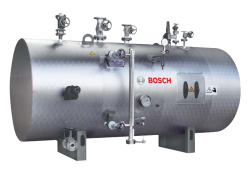 The flame tube, internal water-flushed rear smoke gas reversing chamber, first smoke tube pass and second smoke tube pass are all arranged for optimum flow within the cylindrical pressure vessel. A flue gas heat exchanger can be supplemented for heat recovery from the modular kit. 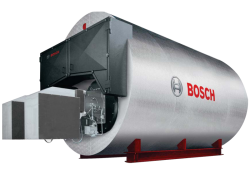 Important areas of use are local and district heating generation, commercial operations in all sectors of the economy, the processing industry and supply industries, as well as communal buildings. As base load, peak load and reserve heating boilers at district heating plants. For decades our three-pass patent has formed the basis – as with the steam technology – for the outstanding and ongoing success of this series, which is still unsurpassed today. The flame tube (first pass) and two smoke tube bundles (second and third pass) are integrated with the waterflushed rear reversing chamber in the pressure vessel in an ideal way. 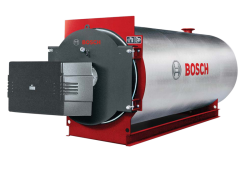 The laterally arranged flame tube and the horizontal rear and vertical front heating gas reversal, produce an optimum radiant and convection heating surface with a large hot water chamber, and all of this within the smallest dimensions. The elastic floors are connected to the boiler jacket by the large continuous flame tube and a high number of gusset stays under even load distribution.